Global food service and culture company CJ Foodville continues its drive for mutual prosperity on a global scale by following its success in the bakery sector in Vietnam with a new initiative in Indonesia. 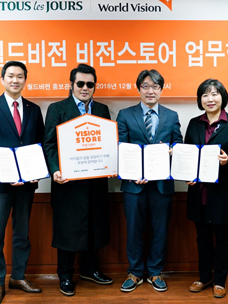 CJ Foodville announced that it would establish Korea-Indonesia Baking Training Center as part of its global social contribution program with KOICA. This follows the recent opening of CJ baking and pastry skill department at a vocational school in EoungaeHansung, Vietnam. Korea-Indonesia Baking Training Center will restructure the facility and curriculum of Pastry Department of SMK High School, a vocational school located in Jakarta, Indonesia. The new center will improve the overall expertise of the department and focus on producing people trained in advanced baking skills. With this, CJ Foodville has made another step towards greater mutual prosperity on a global scale. Starting with the transfer of baking skills, CJ Foodville’s efforts will eventually invigorate the local economies of the VIP markets (Vietnam, Indonesia, and the Philippines),the next group of emerging markets after the BRICS (Brazil, Russia, India, China and South Africa). The cost of the establishment and operation of Korea-Indonesia Baking Training Center will be shared by CJ Foodville and KOICA. CJ Foodville plans to reflect the baking theories and practice of TOUS les JOURS’s domestic curriculum in the curriculum followed at the Korea-Indonesia Baking Training Center. CJ Foodville will train 80 students a year in ways to make almost seventy bakery products including bread and cakes, with baking courses lasting 7 semesters (3.5years). The number of students at the center is expected to reach 1,000 within just five years. CJ Foodville plans to help its graduates find a job, particularly through placing them at local TOUS les JOURS stores through a process of continuous follow-up. 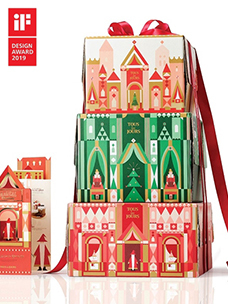 CJ Foodville’s bakery brand TOUS les JOURS currently runs 13 stores in Indonesia, a number that has grown substantially since its first entry to the Indonesian market back in December 2011. 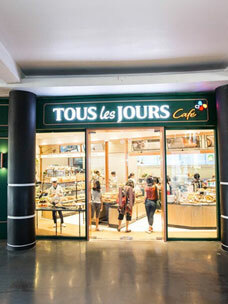 TOUS les JOURS is the only Korean bakery brand to have established a permanent business operated in Indonesia. It has cemented its position in the Indonesian market as a premium bakery brand through the combination of a luxurious store interior and its differentiated products. It launched European style premium well-being bread, which has already gained huge popularity, reflecting the recent well-being trend and the increasingly westernized diet followed in Indonesia. 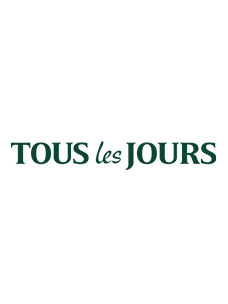 A spokesperson from CJ Foodville said, “We expect to see a surge in demand for qualified people with good baking skills as the annual average growth rate of the Indonesian bakery market reaches almost 10 percent, and with TOUS les JOURS leading the market. CJ Foodville’s Korea-Indonesia Baking Training Center will supply trained people qualified in advanced baking skills in Indonesia, as well as conducting activities for mutual prosperity globally through transferring that advanced baking skill.” CJ Foodville now trains 50 students for its first class, following the opening last September of CJ Baking and Pastry Skill Department of Han-Bei Technical School in EoungaeHansung, Vietnam.